Let this be your motto: Do the right thing. 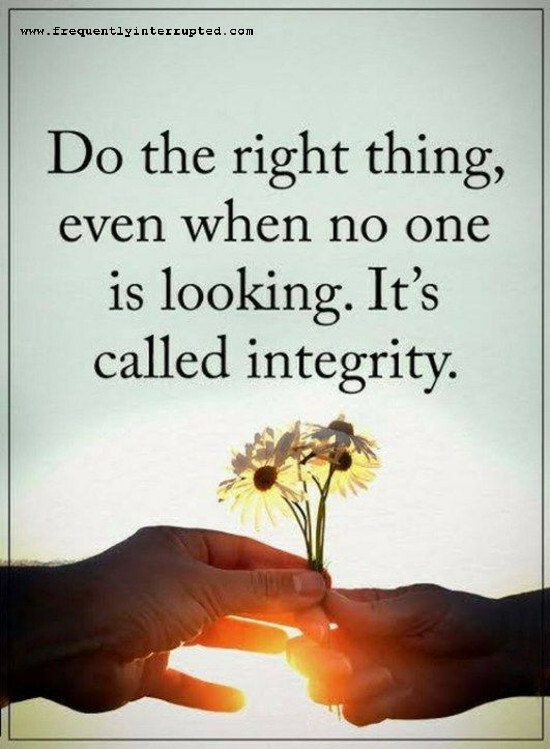 No matter what you do, when you do it, or who is around, do the right thing. What you do when no one is looking is what defines who you are, so make sure your definition is who you want to be. Do the right thing.